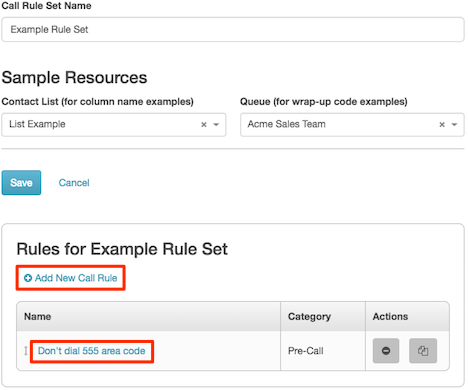 Under Outbound Dialing, click Rule Management. Click the Call Rule Sets tab. Optionally, select a contact list or queue so that the app can display columns, phone number types, and wrap-up codes when you create rules, and then click Save.